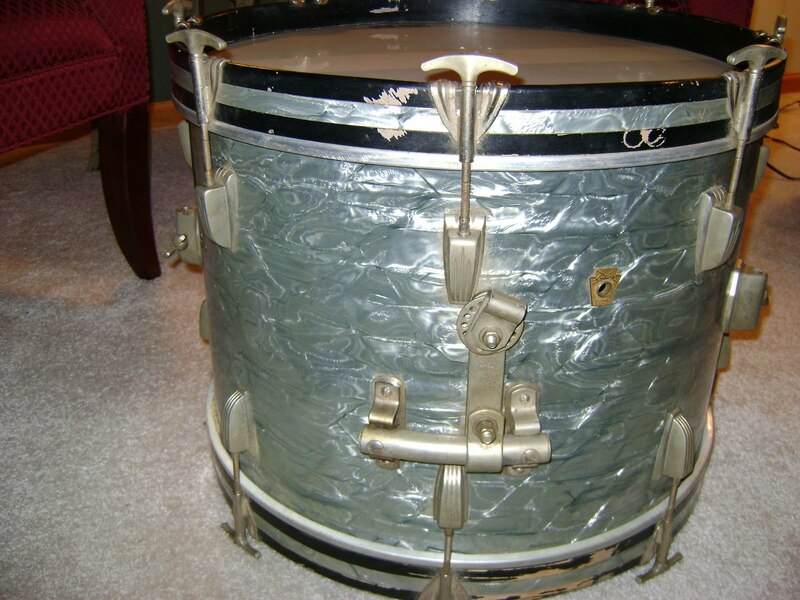 Ludwig drums were made in Chicago. Ringo Starr used Ludwigs with the Beatles. 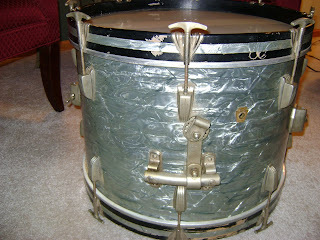 I found this vintage early 60s Ludwig drum set in the basement of an old house at an estate sale. It was shoved in the corner of the dark and dirty basement, covered with dust. 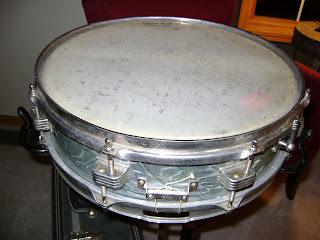 I got the snare, tom, bass, two cymbol sets, a cowbell (which I could always use more of baby) a case and other accessories for $145. I sold them seperately as I thought that people may just want a piece. One chap from Australia bought all but two pieces and paid $1,400 plus $500 just to ship. 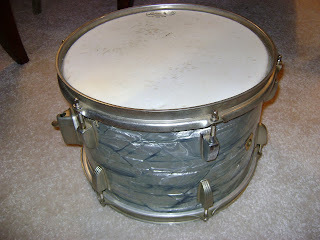 He's in a band and I'm very happy that after years in seclusion that the drums will be used again.